Space is dark, which makes finding bright things like stars pretty darn easy. It also makes it possible for high-powered telescopes to spot things that are very, very far away, and researchers now believe they’ve spotted the brightest object known to man. It’s a quasar called (inhales) PSO J352.4034-15.3373 (phew) and it’s really, really bright. It also happens to be so far away that we’ll never know what it looks like right now. Quasars are the result of black holes feeding on galactic material. As the black hole gobbles stuff up, it spews radio waves and light which can be seen from great distances. This newly-discovered quasar is incredibly far away — approximately 13 billion light years — which means that we’re witnessing what it looked like back in the very early days of the universe. We have absolutely no idea what’s left of the quasar or the surrounding galaxy today, and we’d have to wait another 13 billion years in order to see it from here on Earth. At the time the quasar was behaving in the way that we’re seeing today, the universe was less than one-tenth the age that it is today. That’s what makes it so hard to crown a king when we’re talking about “the brightest object in the universe.” The greater the distance, the farther back in time we’re looking, and it’s entirely possible that there’s other objects and even brighter quasars closer to use that we haven’t seen yet simply because their light hasn’t reached us. “We are seeing P352-15 as it was when the Universe was less than a billion years old, or only about 7 percent of its current age,” Chris Carilli of the National Radio Astronomy Observatory, explains. “This is near the end of a period when the first stars and galaxies were re-ionizing the neutral hydrogen atoms that pervaded intergalactic space. 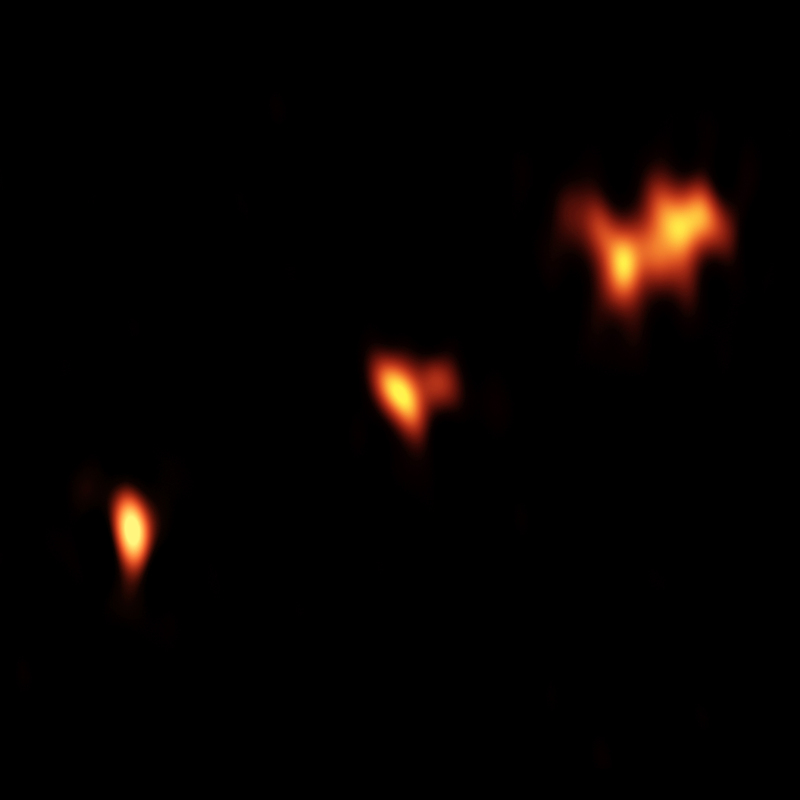 Further observations may allow us to use this quasar as a background ‘lamp’ to measure the amount of neutral hydrogen remaining at that time,” he added.